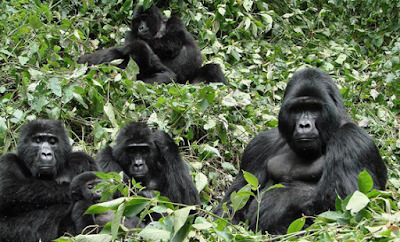 4 Days Rwanda Gorilla Tour & Kigali City Tour ,Parc National Des Volcanoes. This safari will also take you to volcanoes National park were you will also engage in gorilla trekking and also view many other animals including the forest elephants and the monkeys. You will also be given an hour to interact with these unique primates for an adorable adventure. You will also have the second day of tracking the gorillas. The safari will also include a city tour were you will many attractions like the museum, art facts, and many more. The safari departure will be at Kigali International Airport. Day 1: Arrival – Parc National Des Volcanoes. You will be welcomed and picked from the Airport by the company official who will then lead you through Kigali which is the cleanest city in Africa to the volcanoes which is also viewed along with the Virunga Mountains and then you will head for dinner and an overnight at the Mountain Gorilla view Lodge/Le bamboo Lodge/ Kinigi guest House. Have breakfast and immediately drive to the park head quarters to meet with the ranger guides for your briefing, you will start the gorilla trek though it can be a tough experience and it takes 2 to 8 hours while searching. After the whole experience, you will have your lunch at Ruhengeri and also have a chance to explore the beautiful lakes in the region that is Lake Bulera and Ruhondo. Later, this will be followed with dinner and overnight at Kinigi guest house/ Le bamboo/ mountain Gorilla View Lodge. Have your breakfast and after, you will head to the park headquarters for briefing about your second day of gorilla trekking. You can also choose to visit the same gorilla family or you may choose to visit a different family. You will drive to Kigali after your heavy breakfast where you will have a city tour and also visit the Kigali Memorial Museum. You will have lunch and then transfer to the airport for the departure flight.